MANILA – One of the simple pleasures in the life of a Filipino family with a member working overseas is receiving and opening a balikbayan box. Often its contents are mere surplus personal effects of the family member far away, some grocery items he or she most likely bought from marked-down sale, some books, magazines, etc. Families sometimes wait until all the members are present before the box is opened. In it are evidences that no matter the distance, the family remembers each other. 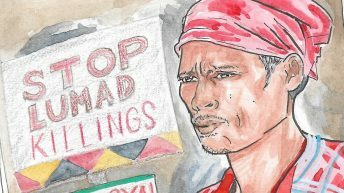 SEEING DOLLARS: OFW group Migrante depicts the latest in the list of impositions on migrant Filipinos. But now, no thanks to the zeal of the Bureau of Customs in finding ways to increase its tax take, strangers from their department will open balikbayan boxes at random. Social networking sites are seething in indignation. Some have posted complaints regarding the allegedly pilfered contents of their balikbayan boxes. 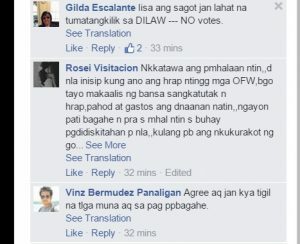 On Facebook, a certain OFW Lounge urges OFWs to stop sending balikbayan boxes for the meantime, in protest and until the Custom’s threat to open and tax the box is over. In Congress, Bayan Muna Reps. Neri Colmenares and Carlos Zarate said Sunday August 23 that they are set to file a House resolution to investigate the proposed more stringent inspections of balikbayan boxes by the Bureau of Customs (BOC). They said they too have received numerous reports and statements of protests on this proposal of the BOC. “It is not good that while tons of garbage and smuggled contrabands enter the country the BOC would train their sights on overseas Filipino workers (OFWs) and their families. 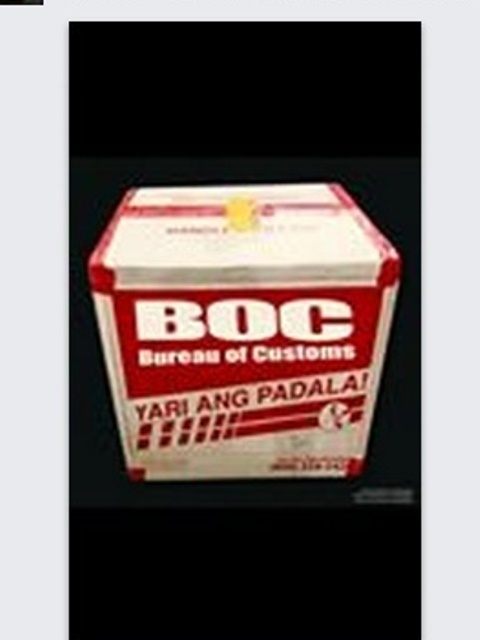 To shore up their revenues the BOC should instead curb immense corruption in their agency and target big time smugglers rather than harass OFWs,” said Senior Deputy Minority Leader Colmenares. 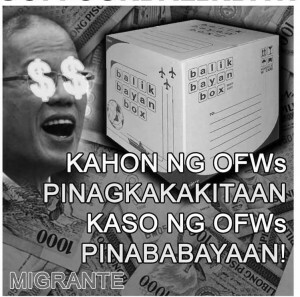 The explosion of outrage in social media talk of similar complaints against the various fees imposed on OFWs, and the worsening corruption in the Bureau of Customs and most government agencies. A’eesha said, “If my parents were working at BOC I will be ashamed because they may be feeding us with stolen goods. “What are these people thinking? Don’t they have any shame? Well, they have thick faces..” said Mediling Moreno in Tagalog. Bayan Muna Rep. Zarate and Anakpawis Partylist Rep Fernando Hicap in separate statements said the same thing of the Bureau of Custom’s announcement of taxing and opening the balikbayan box. “OFW’s are not your piggy bank, stop harassing OFW’s, BOC random inspection is anti-Filipino migrant workers,” said Rep. Hicap. 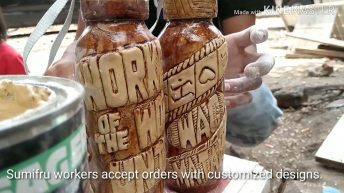 “As I see it this is just another scheme to further fleece hard earned money from our OFWs and this should be dropped immediately,” said Rep. Zarate, who also urged the customs to use X-ray machines instead of opening the box. Aside from the random inspection by the BOC, it is also thinking of raising the duty tax of the container loaded with balikbayan boxes from P80,000 to P120,000 as part of their supposed crackdown against smuggling. 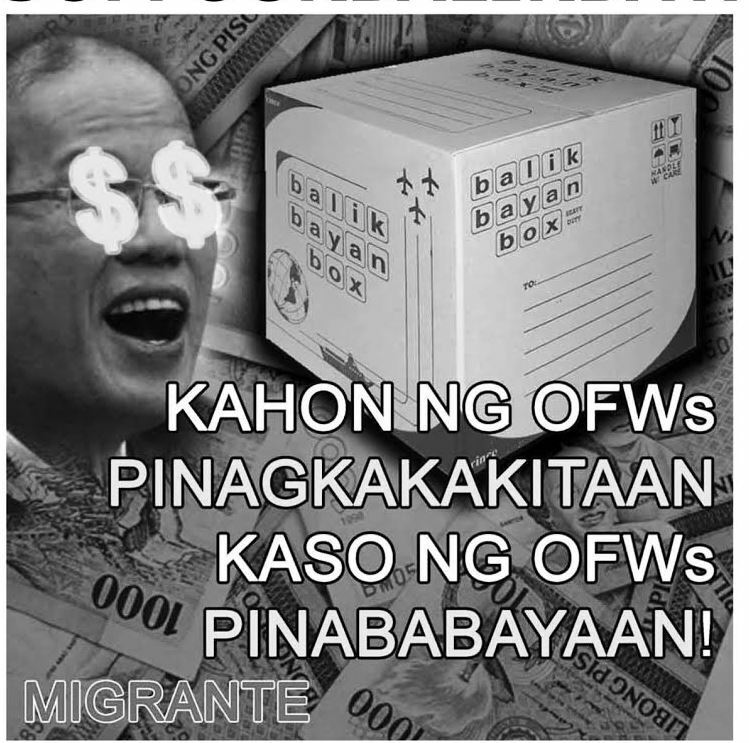 Progressive lawakers condemned and opposed this idea as well as the plan to open balikbayan boxes. 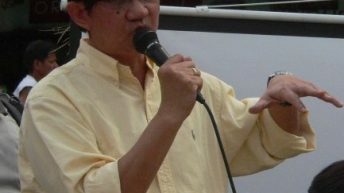 Calling it “double taxation,” Anakpawis Rep. Hicap called on all OFW’s to “oppose and expose the money making racket of BOC chief [Alberto] Lina,” by conducting protest actions wherever they are. 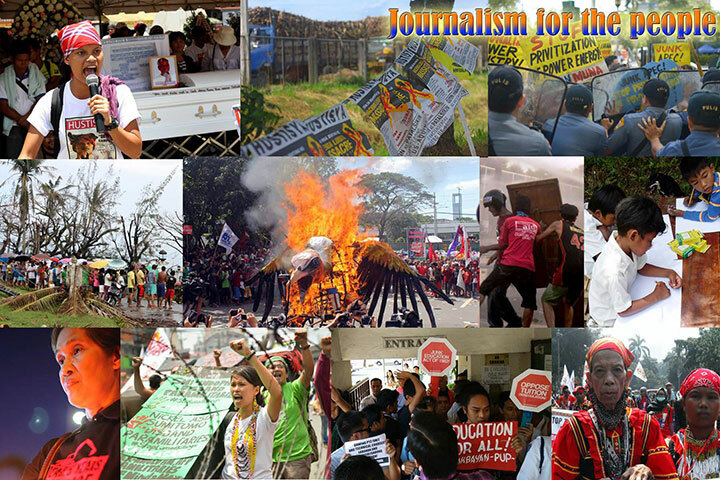 He urged the OFWs to maximize the use of social media to express their opposition. 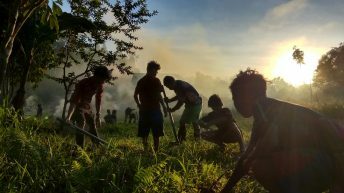 “The plan of the BOC runs against the rights and welfare of the OFW’s whom the government has dubbed as modern day heroes for their continuing contribution to our ailing economy.” Hicap said. OFWs send in at least US$20 billion or about P800 billion annually, based on government data. The highest recorded was in 2014, when remittances amounted to US$28 billion. Last year, OFW remittances contributed 8.5 percent of the country’s GDP. 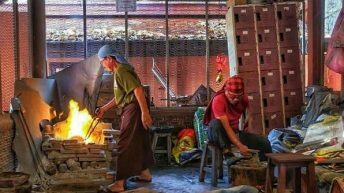 The Philippines is ranked as the third largest exporter of labor, next to India and China. He vowed that they will “definitely scrutinize” this issue and that they will do all they can to stop it. But then again, the top politician were all hoping for more tax for their next election expenses. P500 per voter plus the promise bloc vote of religious group. Government of the Philippine have the nerve to collect “Travel Tax” already which is unconstitutional. 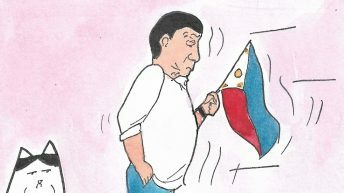 For tourism they say, garbage, the director of tourism in L.A. make $75K/year just watching TV while having his nails done and he doesn’t even know where “Romblon” is. Travel tax is one of the most cruel tax the government can impose. More taxes more corruption. No Tax no corruption.